Some 22 years & change ago, Clerks debuted at the 1994 Sundance Film Festival with rave reviews and a deal with Miramax. MARILYN GHIGLIOTTI played the main character Dante’s girlfriend Veronica, who I feel was the heart of that film. Check out the second interview I’ve had with Marilyn, a sweet lady that I consider a friend. Below we exploring her creativity, what she has been up to since 1994 and the upcoming Clerks III. I am an actress, hair and makeup artist & photographer. After all, when in LA unless you’re an A-list actor, we need to have several jobs. 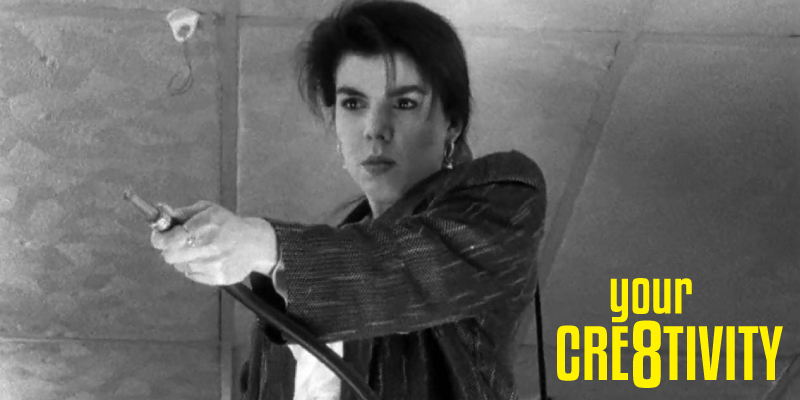 I became known after the independent film shot back in 1993 and released in 1994 became a cult classic Clerks, where I played the role of Veronica. The more Kevin Smith became a house hold name, the more people came to know Clerks and the cast of characters. I’m not sure I understand the question of what type of conditions. All I can say is that for me being able to be creative in whatever style it may be, is where I feel most comfortable. Yes, I’ve worked in office settings, but I just felt stifled, unless there happened to be something needed that required me to be or use some kind of creativity for the project at hand. I’ve also had and have a job in a salon and also freelance work as a hair and makeup stylist, that allows me to be creative when not doing what I really would prefer to be doing is acting. Honestly, the only person that inspired me is my daughter only because I wanted to be able to provide for her and also give her the inspiration to do whatever it was that she wanted to pursue in her life and show her that there are no limitations, no matter what other people would say. 5.When Did You Know That You Were Interested In Acting? I think I always knew subconsciously, because as a child I would have a great imagination. Although, I wasn’t one of those children that would put on shows in the house and such, but I did always ask for dancing lessons. And I would enjoy watching the old movies on tv and wish that I could do that. Actually then finding acting I feel it was just inevitable even though I never would have imagined it for myself as I was an extremely shy child growing up. 6. Describe Your Experience Getting Into Cosmetology. Well, when in high school, my school actually offered cosmetology classes once in the 10th grade. But as with all classes, there were certain requirements for taking certain electives and one for this class was biology. Well we all know that in biology one would have to dissect a frog and well, I decided I’d let that class go. Most people ask why that was a requirement. For Cosmetology one needs to know the names of certain muscles and bones especially in the head, so that’s why. So many years later after getting married and having my daughter and on maternity leave from my 9-5 job, I decided I didn’t want to go back and that I would go and get my cosmetology license. 7. What Other Projects Are You Involved In? Currently, there are several projects that I’m connected to, just waiting for word of when they will actually start. One of which is the much-anticipated Clerks III film which was supposed to have filmed at least a year ago, but has gotten postponed 3 times. So now it’s a waiting game to know when. I’ve also been cast in a film titled Witchula that will start sometime this year. Here’s a link (click here) to the FB page to find out more about it. I was just in MI when I got a message to see about working the same day I got the message and had the craziest experience of dropping everything and getting on a plane to get to set the same night after landing. That film is titled Thursday the 12th being made by Lyons Productions and is a Comedy/Horror based film. And there are a few others but don’t like talking about them with nothing set in stone. 8. What Is Your Favorite Food? Why?